Quick Mount PV’s Tile Replacement Flashing for tile hooks provides a fast, simple and versatile way to install solar on tile roofs. The flashing replaces a tile, so there’s no messy, time-consuming tile grinding or cutting required. 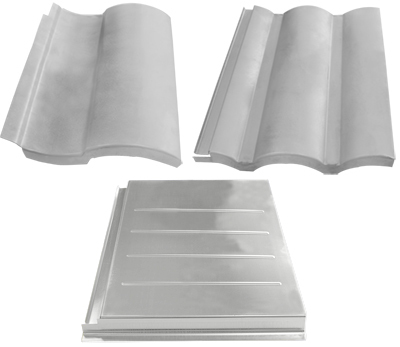 Works with all standard curved and flat tile roofs, and all standard rail-based racking systems. The Tile Replacement Flashing for tile hooks is fully engineering to meet code requirements and industry best practices. Works with Flat, S-shaped and W-shaped tiles.